For the safe storage of the entire lot, we have a capacious and well-structured warehouse. Moreover, regular up-gradation in the warehouse is done to meet the changing scenario. Our company is one of the dependable providers of a premium range of our product in Sialkot(Pakistan). 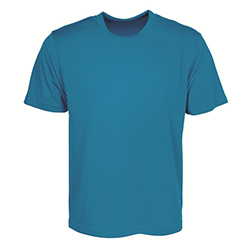 WB-1703 Sports Round Neck T-Shirt has a soft fabric lining with a regular fit design and high durability.